Denver played host to a two-day Cannabis event expo this past weekend. The Exdo Event Center will featured an outdoor medicating area and tons of interesting seminars and discussions like cultivation information and major Cannabis celebrities. There was even activism sessions to further the efforts at legalization, an all-star awards ceremony, and tons of live music. This years 710-Cup was truly an unforgettable pot party filled with surprises. 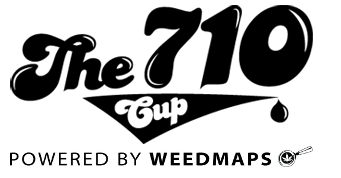 Be sure to mark your calendars for the next 710-Cup event in Denver. There was even be a secret cup party before the actual event (this was held on the 10th). The 710-Cup event was held from Friday, July 12th, 2013 through Sunday, July 14th, 2013. The hours were 1:30pm to 8:30pm each day, although late night events also took place after these hours. The event was held primarily at the Exdo Event Center, located at the address of 1399 35th Street, Denver, CO 80205. For further details and additional information feel free to call (303) 468-5443. Of course, this is an adults only (18+) event and you must be 21 or over to actually smoke or enter a product into the 710-Cup event competition. Basically, this event is a marijuana extract competition. There are a number of categories which include Shatter, Wax, Edibles, Solventless, CBD, and both Indica and Sativa categories. So, if you think you have what it takes to go up against the very best, you could gather together one processed ounce of your best stuff and compete for grand prizes that include a custom HitMan Phase Two Torch Tube, your own grassroots hat line, $5000 in cash, and more! For $275 contestants could enter into each of the categories above and have your high THC extract judged by the expert event panel and the public. Each competitor needs to turn in a write up of their THC concentrate(s), which will be reviewed by the judging panel and should include the extraction methods and cannabis strains used, along with the category you wish to enter. You should provide at least one processed ounce so as to allow for lab testing five to ten days before the event. It should also be noted that entry does not guarantee your product will make it to the actual event competition; this determination will be made by the judges. Whether you are being judged, or just coming out to watch a fun time should be had by all!